This book is the moving autobiography of a young Chinese girl, Adeline Yen Mah. Born the fifth child to an affluent Chinese family her life begins tragically. Adeline’s mother died shortly after her birth due to complications bought on by the delivery, and in Chinese culture this marks her as cursed or ‘bad luck’ (p.3). This situation is compounded by her father’s new marriage to a lady who has little affection for her husband’s five children. She displayed overt antagonism and distrust towards all of the children, particularly Adeline, whilst favoring her own younger son and daughter born soon after the marriage. The book outlines Adeline’s struggle to find a place where she feels she belongs. Denied love from her parents, she finds some solace in relationships with her grandfather Ye Ye, and her Aunt Baba, but they are taken from her. Adeline immerses herself in striving for academic achievement in the hope of winning favour, but also for its own rewards as she finds great pleasure in words and scholarly success. 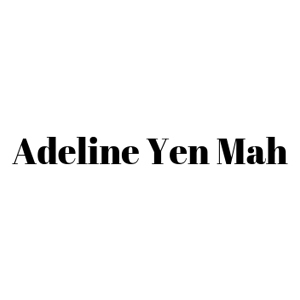 The book was written following the successful publication of Adeline Yen Mah’s first autobiography, Falling Leaves, which details the years of Adeline’s life from fourteen years of age into adulthood. The idea of an unwanted daughter, blamed for the death of her own mother, is a superstition that may have caused the abandonment of many. What is the strength of such a superstition? How does such a superstition come about? In her life Adeline Yen Mah has been many things, a brilliant academic, doctor and a writer, yet it is the role of ‘unwanted daughter’ that plays heavily on her heart. Why does it overshadow all other achievements? Why is it so difficult to move beyond childhood hurts? The pain felt by Adeline is acute and permeates almost every scene in the book. The story is, at times, a catalogue of one unhappy incident after another. Some events that display her anguish are particularly violent, cruel and senseless, as in the episode when her duck, PLT, is killed by the dog (p.94 onwards). Others show the power of cruel words to truly destroy the child’s own sense of self worth. Adeline is an unwanted, even unnoticed daughter. Upon leaving her beloved grandfather’s funeral, Niang (her stepmother) comments loudly that Adeline is becoming ‘uglier and uglier as (she) grew older and taller’ (p.213). An unnecessary and crushing remark made at a most difficult time. Adeline suffers constant rejection from her stepmother but perhaps it is the indifference of her father that crushes Adeline more brutally. Most telling is the scene in the plane (p.40) in which her father remembers neither her real name nor her birthday. She is a forgotten child to him. Family offers us acceptance and a place to belong, affirmation, help and guidance, things Adeline lacks in her interaction with her parents – she is an ‘unwanted daughter’ in many senses of the word. How easy do you think it would be to recall events from so many years ago? Does a series of vignettes really enable us to come to a true understanding of what the life lived was like? Why, when we reconsider our lives, do certain scenes come to mind whilst others defy recall of any kind? To what extent do the early years of one’s life shape the person that we become? Autobiography and biography are very popular genres. They are both windows into the lives of others. For some readers these genre cater to the voyeuristic urge to view someone else’s life, perhaps to allow comparison with our own existence or history. When reading such a story, do you compare the life to your own? Can you imagine writing about your own life? How easy do you think it is to write honestly about experiences that have affected you, or are all views subjective in the final analysis? ‘Richard Freadman, head of the unit for studies in biography and autobiography at Latrobe University, says part of the genre’s attraction is the notion that we will discover more about ourselves if we read about the lives of others’. Adeline Yen Mah’s story is ‘a life marked off on the soul by feelings, not by dates’ (Helen Keller on biography). The book is a series of small windows into how Adeline was feeling at the time, how particular events affected her and marked her for life. Her voice comes through vividly in her writing, bringing to life each scene as she unveils to us the raw emotion she felt, her uncertainty and confusion. Adeline describes tremendous lows, such as when her little duck is killed by the dog:‘I was overwhelmed with horror. My whole world turned desolate’ (p.96), and at the death of her grandfather (p.213) – she feels as if the world will end for her at these times. The descriptions of Adeline’s powerful highs and lows capture her voice most effectively. Simple, straightforward description, the power of her writing lies in the depth of feeling in her most extreme moments. This, set against an almost monastic life of study and emotional deprivation gives to the book an extraordinary force and uncommon insight of great strength. The characters in any autobiography are seen through the eyes of, or given to us, by the author. As with narrative, they are ‘created’ for us by the author, who subjectively chooses what to include and what to leave out. Do you think we can be given honest portrayals of characters in this way? Can the author of an autobiography, or the author of fiction, manipulate the reader to have them see things as they wish? Might the participants in the book see themselves, or their actions, differently from the view the author presents? How might Adeline’s relatives describe themselves if given the chance to do so in their own life story? Niang is a central character in Adeline’s young life. A source of cruel and cold treatment for all of her step-children, she has a particular hatred for Adeline. Calculating and manipulative, though outwardly charming and stylish, Niang is the stereotypical evil stepmother. Whilst Adeline appears to crave the approval of her father, she senses this is not possible with Niang and only wishes to disappear in her presence. Why does Niang behave towards Adeline, and her other stepchildren, as she does? Reread Adeline’s confrontation with Niang at the time of her friend’s birthday party. (p.110 onwards) What does this tell you of Niang? Adeline’s father is a mysterious character, aloof and seemingly untouchable. At times indulgent, at others cruel and uncaring, he is portrayed as ruled by his new wife’s whims and having little regard for his elder children except when he may be able to bask in reflected glory. Adeline’s only early memory of him is his pride at her having topped the class during her first week at school (p.11). This pattern of being noticed only for academic success is recurrent throughout the book. Affluent, intelligent, business savvy and ambitious, Yen is thoughtless of others. Continually abandoning Adeline, ignoring the wishes of his own father, he appears to value only the opinion of his new wife Niang and chase success for himself based on wealth and power. Why are Adeline’s brothers treated in this way? At one point, Adeline feels close to her third brother. Any bonds, however, are broken by the segregated nature of their family life and Adeline’s placements in boarding schools. Why is this relationship difficult and changeable? The view we have of Adeline’s older sister is only fleeting. She is portrayed as both manipulative and manipulated, prepared to beg and obey for the trifles she wishes to have (tram fare p.47). For most of the novel she is symbolic of the arranged marriage that Adeline wishes desperately to avoid for herself. In her dealings with Niang involving the jade necklace (p.104) Adeline’s big sister is shown as weak and unable to help anyone except for herself. She too, craves acceptance as do the other children within the family. Aunt Baba is a fascinating, impenetrable character, unmarried and hard working she should perhaps be a figure of power in Adeline’s life, but this is not so. Partly this is cultural, as in Chinese society at this time an unmarried older Aunt must bow to the wishes of the male head of household. Adeline describes the circumstances that lead to her closeness to Aunt Baba, ‘ordered to take care of me’ (p.5) Though she is a comfort and support, and there is obvious affection between them, Aunt Baba is unable to affect what happens in Adeline’s life. Aunt Baba puts great faith in Adeline’s intellectual abilities and praises all of her academic efforts, often being the only one to recognise and celebrate her achievements. It is Aunt Baba who reverently saves all of Adeline’s reports and commendations. What does Aunt Baba’s letter to Adeline (p.222) tell you about Aunt Baba and her place in the family? Why do you think Aunt Baba doesn’t do more to ‘rescue’ Adeline? Why does Aunt Baba stay in China? Why is Ye Ye unable to offer Adeline more constructive support? Why does he ‘give up’, and what is it that he ‘gives up’? Though obviously neglected and deprived in some senses, Adeline is part of an affluent family. What would her existence have been like as an unwanted daughter of a destitute family? How does this deprivation and despair compare with Adeline’s own life? How are they the same, yet also different? The beggar children are desperately poor but may be loved. Can you contrast this with the life Adeline leads? Food, pets, school work, friends and relatives all play an important role in Adeline’s young life, not unlike the life of any young person. How do her experiences and her lifestyle contrast with the same areas of life for a student living in Australia in the year 2002? As an ‘unwanted daughter’, Adeline is almost a pariah in Chinese culture. Are there similarities between this and other cultures you are aware of? Food, spiritual beliefs (Nai Nai’s funeral p.22), language and writing (p.171) are important parts of any culture. How are they part of Adeline and her families lives? What differences do you see between the Chinese culture of Adeline’s grandfather Ye Ye, and the views and culture of Adeline’s parents? Consider the photograph in the book of Ye Ye with that of Adeline’s parents. (between pages 92 and 93). Read the description of the Shanghai streets (p.31). How does this compare with Adeline’s descriptions of Niang and her implied lifestyle? Nai Nai, Ye Ye’s wife, has had her feet bound as a child (p.7 and p.20). This ‘custom’ is part of another time. Culturally, the world of Adeline and that of her grandparents is very different. From Adeline’s story what can you see that has changed and what has stayed the same? Can you see similar changes between your generation and that of your own grandparents? Was change in Adeline’s world happening quickly or slowly? What does the term ‘cultural revolution’ refer to in Chinese History? From page 138 Adeline describes, from a historical viewpoint, some of the background to the period through which she lived as a child. Though these events certainly affected her life and that of her family at the time, as political and social events they were not fully understood by the young Adeline. Whilst Adeline is unceremoniously placed in a convent boarding school in Tianjin (p.142), the Communists, under their leader Mao Ze-Dong, are moving through China swiftly taking power. At thevery time when Adeline is placed in this convent, away from family and friends, the members of the population who can afford it, or are able, are fleeing China in droves. In only a short time Adeline finds herself the only student remaining in the convent (p.148) as everyone else has been collected or evacuated by their loved ones. It is only well-meaning relatives who, without consulting Adeline’s parents, collect Adeline at the last minute (p.153). What might life have been like for Adeline if she had not been collected by Aunt Reine Schilling (p.154)? Do you think her parents were aware of her possible fate once they left at her at St Joseph’s Convent? How does the historical context of war and conflict infiltrate the life of Adeline Yen Mah? Are you affected by the political or social context in which you live? Beginning on page 224 ‘The story of Ye Xian: the original Chinese Cinderella’ is told in a letter to Adeline from Aunt Baba. For Aunt Baba Adeline is her Chinese Cinderella. How is Adeline a Chinese Cinderella? How does it compare with the most well known Western, or ‘Disney’ versions of Cinderella? Can you see similarities between the Cinderella story and other tales of fiction or nonfiction? The variations on this theme would be worthy of research. Exploration of other cultures and the lives of others can lead to a better understanding of ourselves. There are many very good books that explore other cultures. The following list is only a selection – check your school library for others.